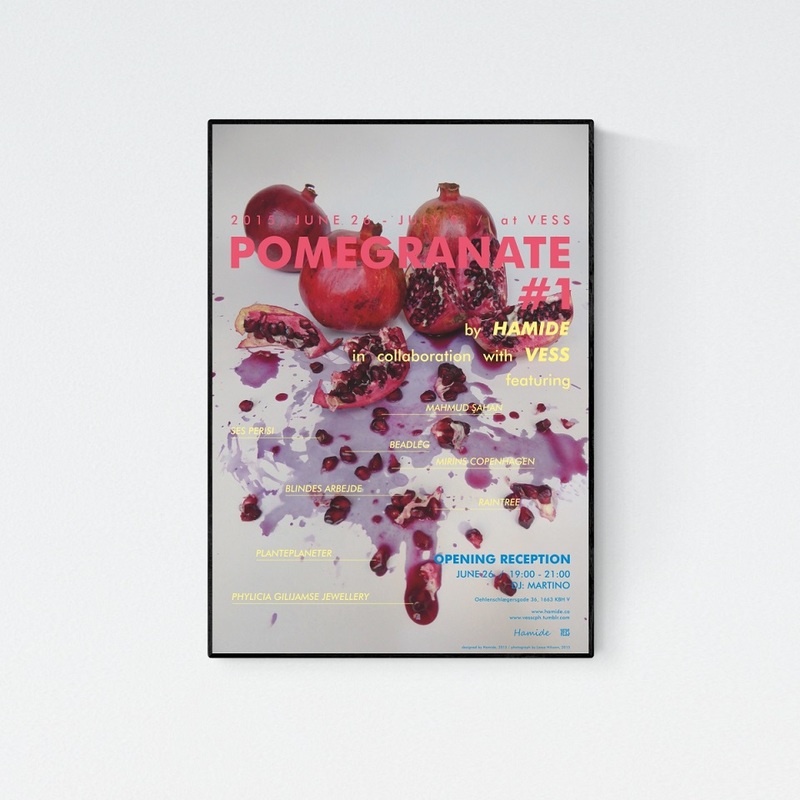 Pomegranate, a project by Hamide Design Studio, is a platform bringing together creative professionals to question, experiment, play, challenge, change, reflect and connect. It consists of a series of events in various formats like talks, exhibitions, performances, and pop-up shops. The print was designed for the first Pomegranate event. Designed by Şeyda Özçetin, Seda Özçetin in 2015. Inspiration: Pomegranate, a project by Hamide Design Studio, is a platform bringing together creative professionals to question, experiment, play, challenge, change, reflect and connect. It consists of a series of events in various formats like talks, exhibitions, performances, and pop-up shops. 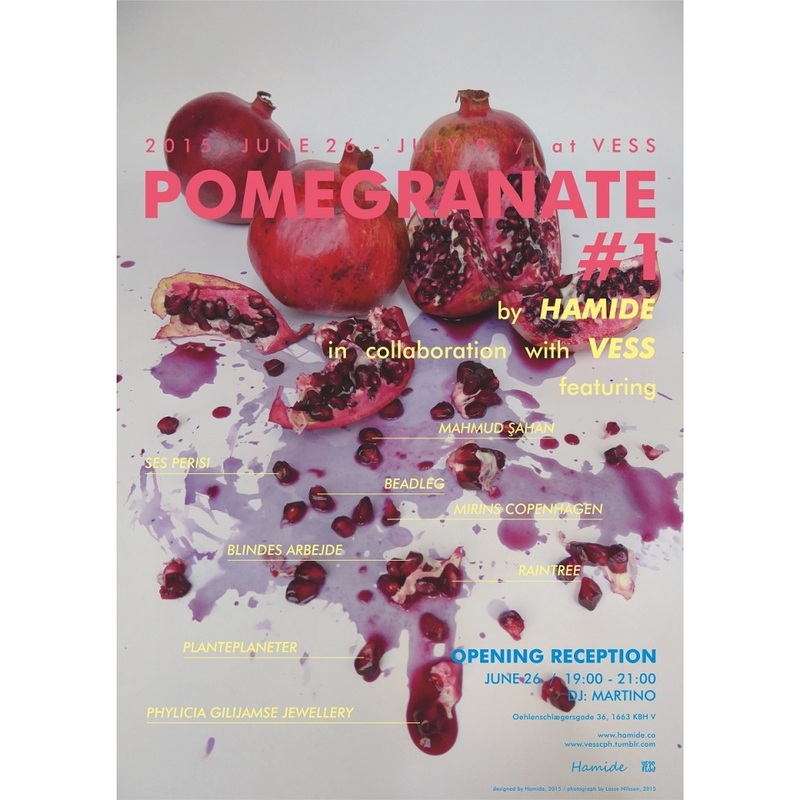 The first event “Pomegrante #1” is a pop-up shop at Gallery VESS in Copenhagen. It presents works by Hamide Design Studio as well as beadleg, Blindes Arbejde, Collage Art by Mahmud Şahan, Mirins Copenhagen, Phylicia Gilijamse Jewellery, Planteplaneter, Raintree.dk, and Ses Perisi ranging from artworks to stationery, fashion, jewellery, plants, and cosmetics.